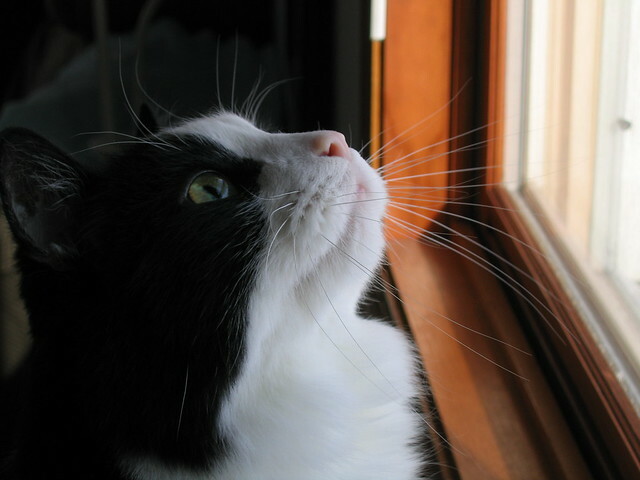 I’ve been spending a lot of time fretting over the health and happiness of this old man lately, which has put me on an unexpected birding hiatus. So here’s a dip back in time and another installment of blog catch-up. 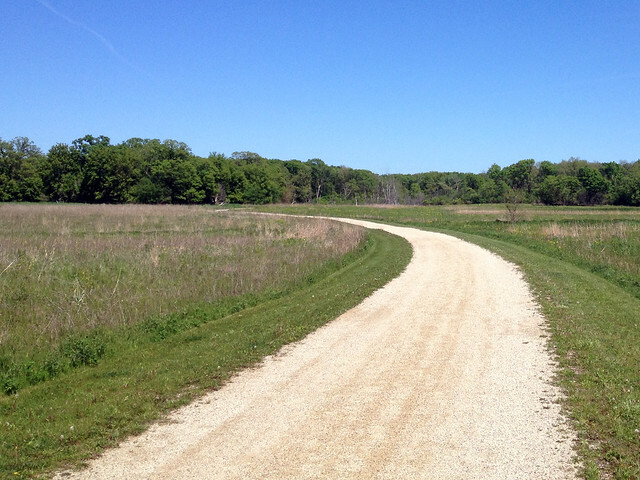 Back in May, when I visited family and friends in Illinois, I took a few walks at my old favorite, Rollins Savanna. 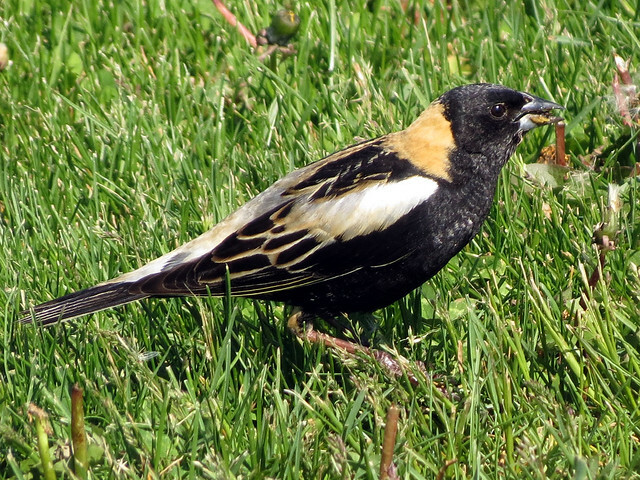 In mid-May Rollins was hopping with Bobolinks. Their robotic calls could be heard from nearly every step along the 3.5 mile main loop trail. You’ve got a little something stuck to the side of your beak there, Bob. 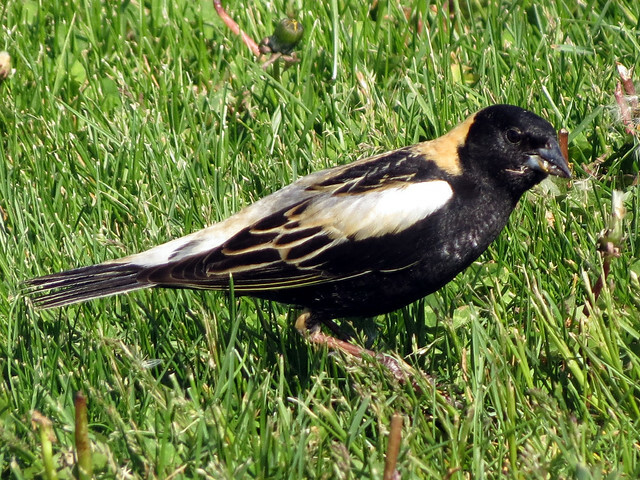 Bobolinks normally first arrive in Lake County around the beginning of May, so the birds I observed chowing down on dandelion seeds along the path may have been new arrivals, refueling after a long leg of their migration (they come from as far south as Argentina). 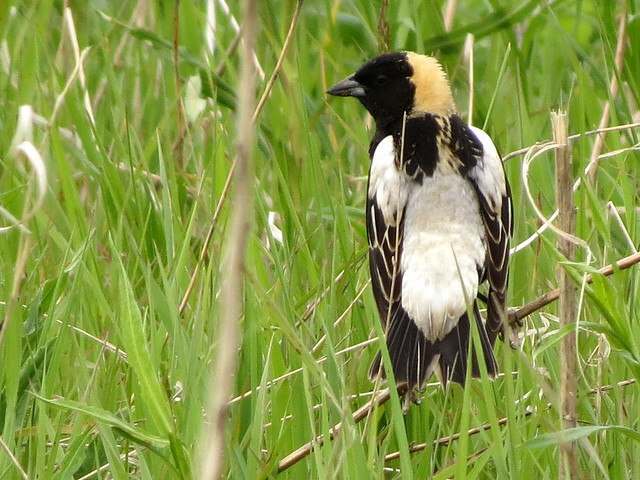 Bobolinks breed in northern Illinois, but their breeding range goes as far north as the Canadian border and beyond. 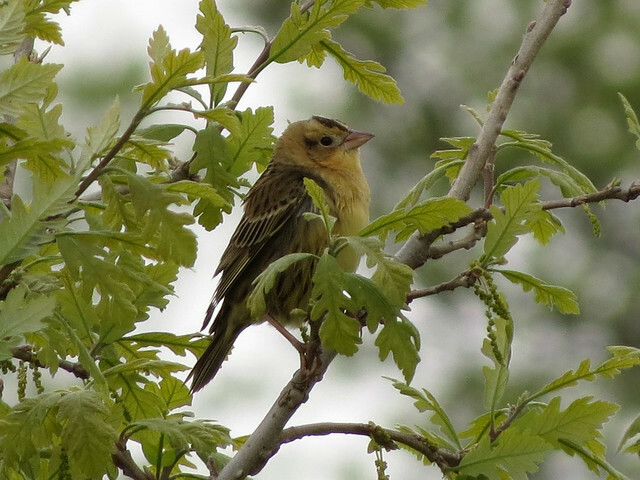 This entry was posted in Behavior, Illinois, LCFPD, Migration. Bookmark the permalink.